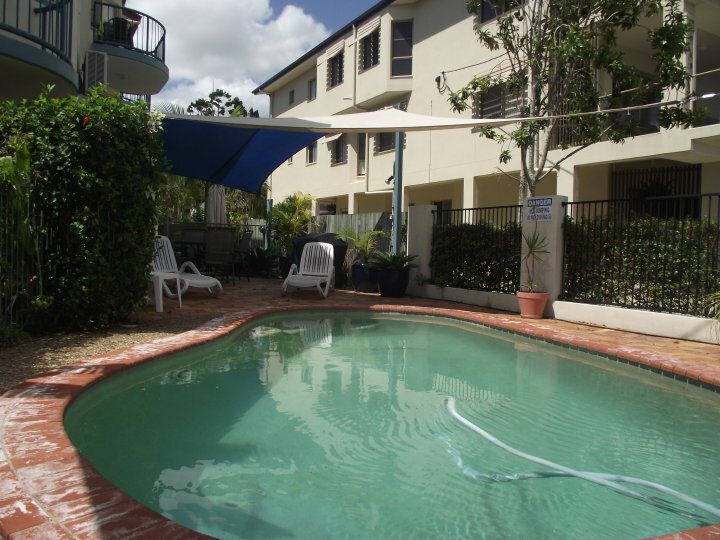 River Sands Holiday Apartments provides the perfect holiday accommodation for those wanting to get away for a quiet few days or weeks on the Sunshine Coast of Queensland. 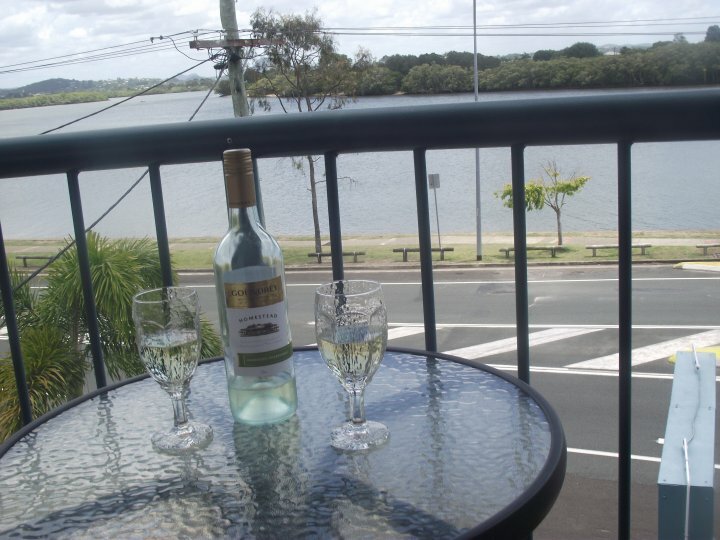 River Sands consists of 10 fully self contained one bedroom apartments situated on the river at Maroochydore but only 5 minutes from everywhere, Sunshine Plaza, Sunshine Coast Airport, beaches, hotels and restaurants. 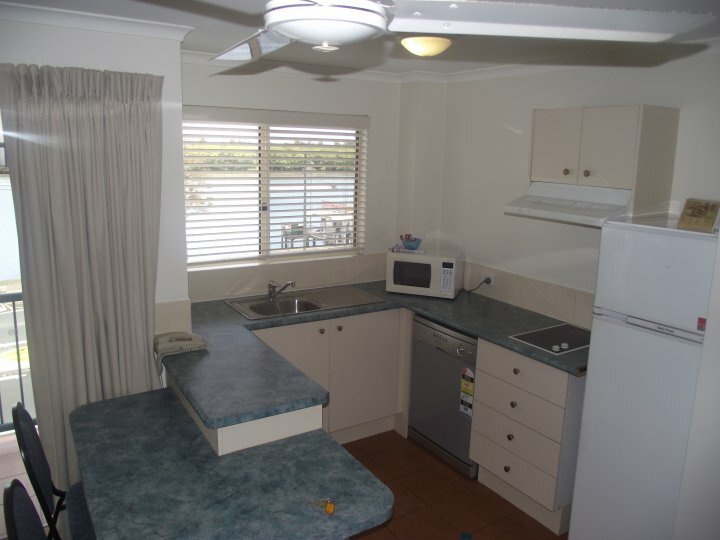 The complex consists of 10 letting units situated on the river at Maroochydore. 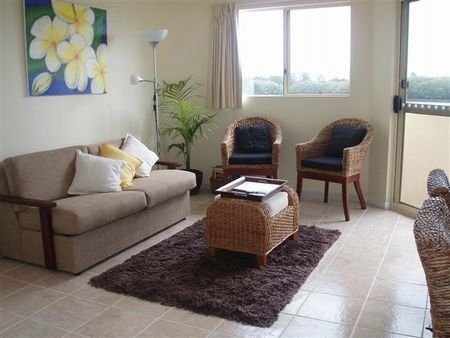 All units have balconies overlooking the River and tastefully decorated . 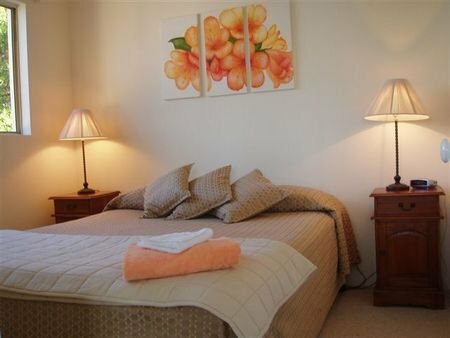 These 1 bedroom apartments have queen beds and some include a sofa bed in the lounge area. 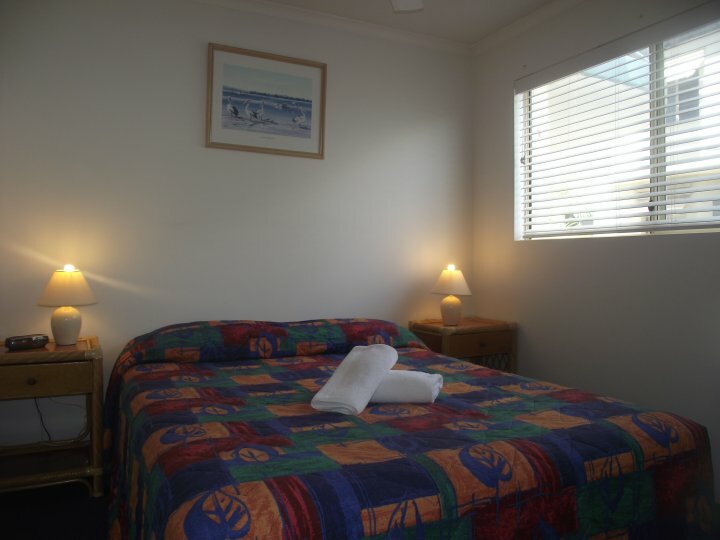 These can accommodate a family with up to 2 children. 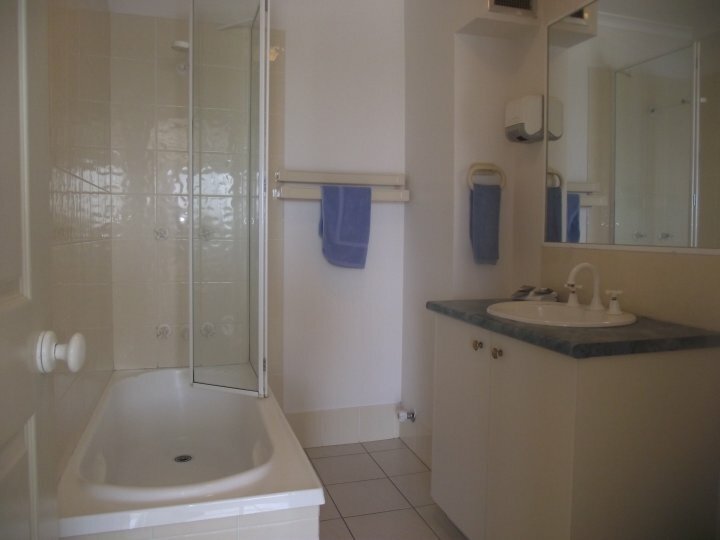 The bathrooms have a full bath/shower amply vanity, storage and toilet. Just bring your clothes and food. 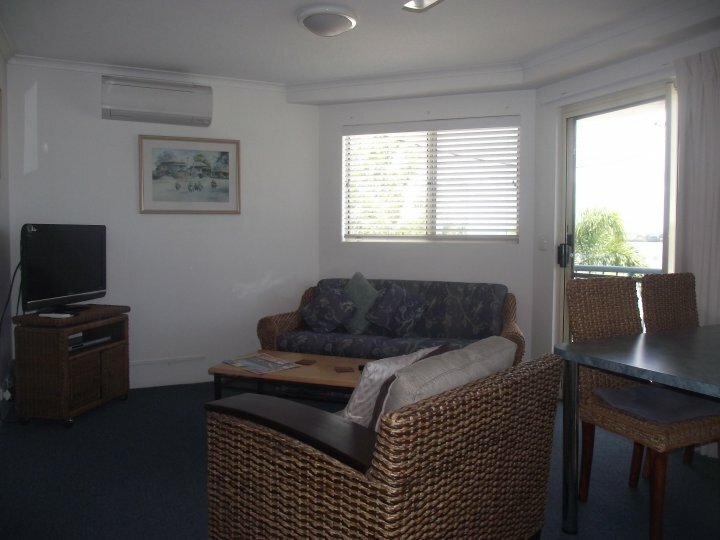 As well as air conditioning, units also have ceiling fans to help circulate the great river breeze. Extra guests must be checked in at the office. Undercover parking at rear, secure and safe. Free of charge. 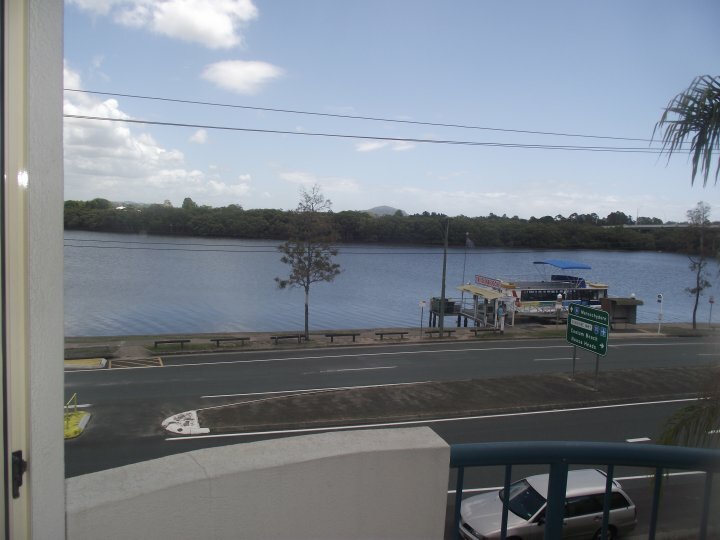 One-bedroom, self-catering apartments on three levels, positioned directly opposite a popular fishing spot and boat cruise jetty at the Maroochy River. 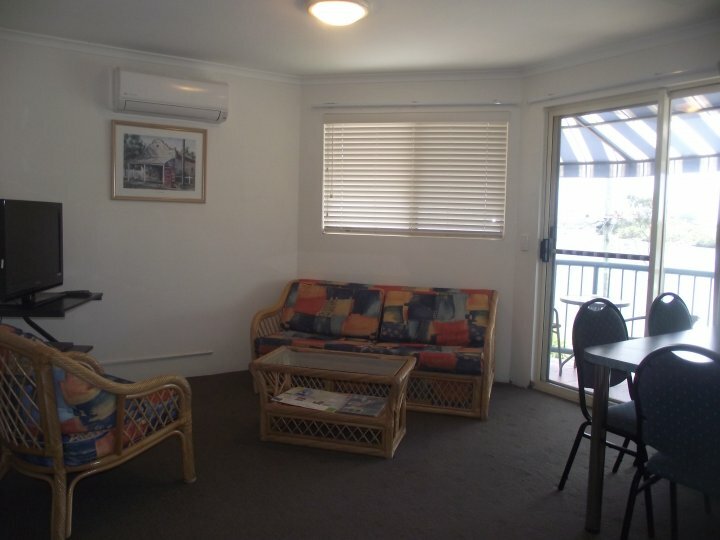 Comfortable and convenient, with easy access to the motorway. 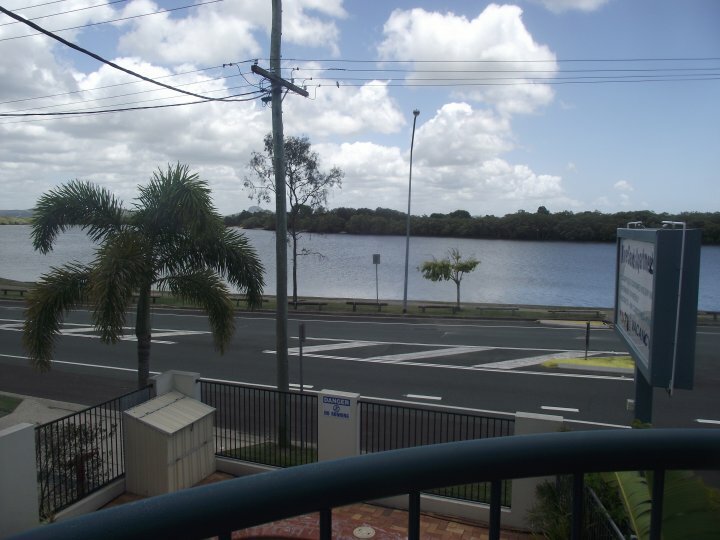 2.5 km down the river from the town centre, close to Sunshine Plaza, surf, bowls and RSL clubs. Public transport at the gate.